XgenPlus has become the first Enterprise Email Solution Server to deploy Internationalized Domain Name (or IDN) in the email address and domain name of an e-mail address in NonASCII characters. 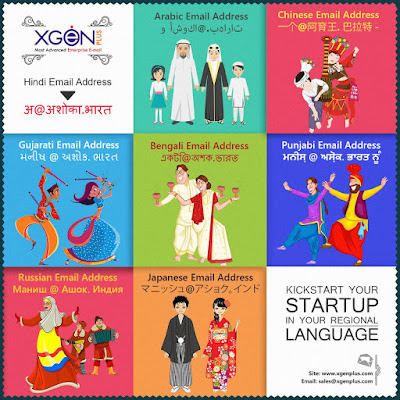 Now people can register free Internationalized domain name .भारत in 8 Indian scripts and get their email service hosted in any languages like Chinese, Japanese, french, Urdu, Bengali , Gujarati etc on XgenPlus’ new IDN e-mail technology. As per the report, more than 80% of the total populace of the world are non-English speakers, this is an important first step in bringing the world’s most population on Internet to use the Internet in their native language and interact with the world” said Ajay Data, Owner of Data Group . Earlier, the use of International languages on the email was inhibited as there was no such email solution that can help Non-English speaking users to get in touch in their native language. Now the current scenario is different, with XgenPlus’ unique and standards-compliant IDN e-mail solution, people can use the language in an email that are in their roots. The home ministry of India also kept a conference with all email giants to provide emails in IDN and give free .bharat domain name with .net,.in,.bharat etc. “The main objective of providing IDN support in email is to increase the conversion rate of the truly global audience to the web and give them access to the internet, website, and e-mail identity in a form that represents them in their own language and with their roots. We are thankful to the PM Modi vision of Digital India and Make In India to give the language preference for the people and integrate the digitally divide people with his mission Digital India. 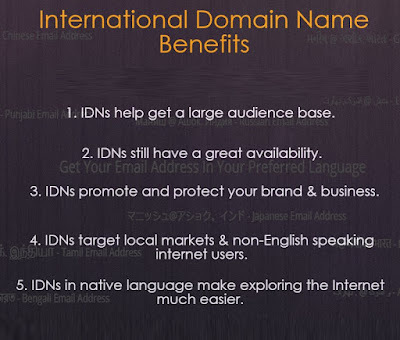 IDN means Internationalized Domain Name that allows people to use web or email application services in their preferred language script. IDN contains NON-ASCII characters ie language specific script like Chinese, French, Urdu, Telugu, Gujarati etc based characters. These language characters get encoded by the IDNA(Internationalized Domain Name Application) in multi-byte Unicode. Internationalized domain name is stored in ASCII code in DNS system using Punycode transcripts in the format in xn--l1b6a7f7a1d–xn. Using this Punycode algorithm the domain gets visible in the NON-ASCII characters script. Book your Chinese email address in hosted on Chinese domain now. XgenPlus IDN E-mail is a software that supports “E-mail Address Internationalization” (EAI), a standard under the Internet Engineering Task Force (IETF) that removes the restriction of English-only alphabets in e-mail addresses. XgenPlus’ IDN e-mail software allows people to use almost any language in their e-mail address. For more information about XgenPlus IDN E-mail solution and how to get domain and email address booked in the native language, please visit www.xgenplus.com.